If you order during the sale it is like you are getting free shipping! Shipping and handling is 10% on your total order! Click here to go to Sale page for today! 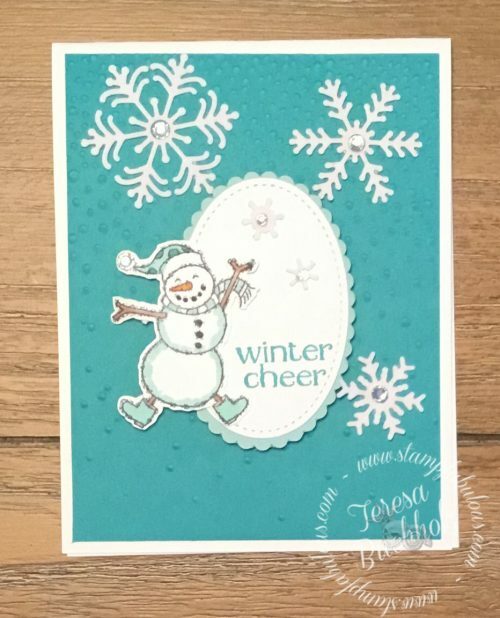 Today I have a super cute snowman card for you! This card was part of my stamp a stack #3. The Spirited Snowmen stamp set is on of my favorites! Here are the supplies I used.